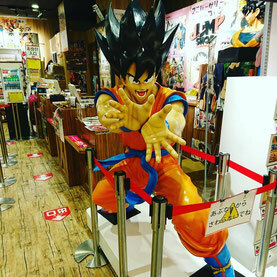 Jump shop at Tokyo skytree. Lots of people are still into Dragon Ball. Jump shops are in Tokyo(three shops) ,Yokohama, Osaka(two shops),Hiroshima,Okayama,Fukuoka and Nagoya(Oasis Nagoya in Sakae).